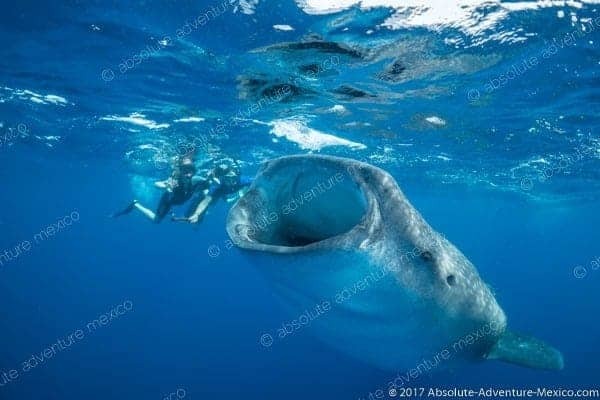 Swim with the biggest fish of the ocean! A once in a lifetime experience. Season is from June to September. 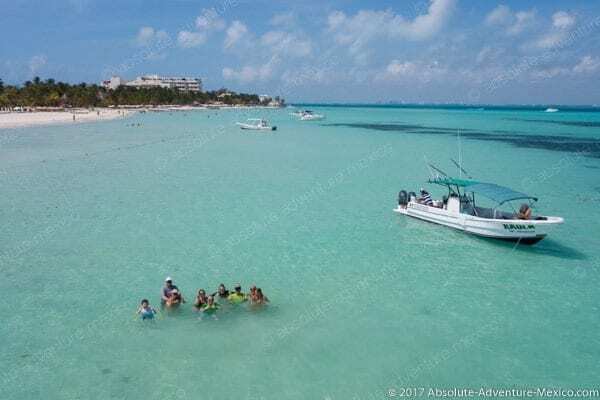 Semi-private tour with maximum 10 people per boat. For a private boat, contact us to get a quote. 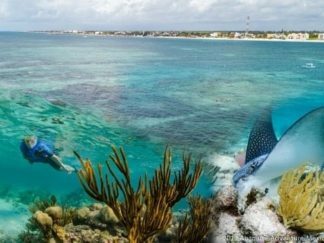 Each summer from June to mid-September, the Swim with Whale Sharks Tour should not be missed if you love the ocean, and snorkeling! 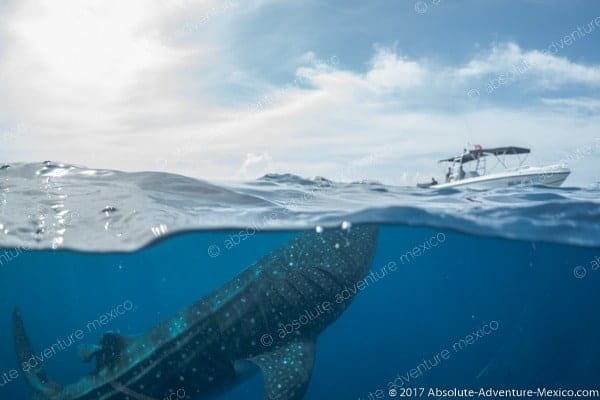 As a unique, once in a life time experience, Mexico offers one of the biggest concentration of whale sharks in the world. In case you don’t know much about this fascinating species, whale sharks are the largest known fish species in the world! You will become engulfed in the phrase, “You’re a small fish in a big ocean!” These majestic creatures generally live in tropical oceans, and are thought to live up to 70 years. 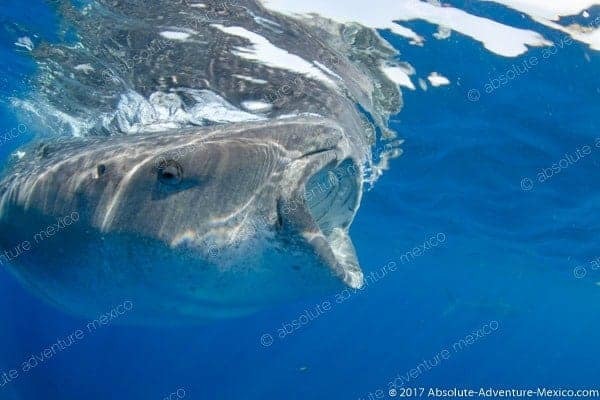 While the thought of swimming with a shark whose average length is over 9 m (29.5 ft) may be terrifying, these gentle giants are actually harmless to humans. They primarily eat plankton. Our tour is designed for experienced snorkelers, and begins by climbing aboard a boat to head into the water. Our guides will find the perfect spot to swim with whale sharks. All snorkeling equipment is included, even wetsuits. 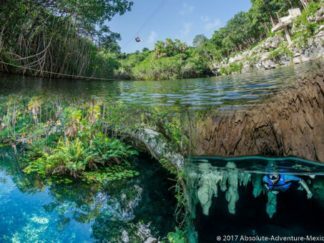 Once we’ve reached the right spot, your professional certified guide will let you jump into the water in pairs in order to swim with these fascinating creatures. It is a truly memorable experience that will last a lifetime. There’s no need to worry about anything since your highly trained guide will be there to ensure everyone’s safety. If you’re lucky enough we might encounter manta rays in the area! Also, sometimes we can observe dolphins swim by the boat! 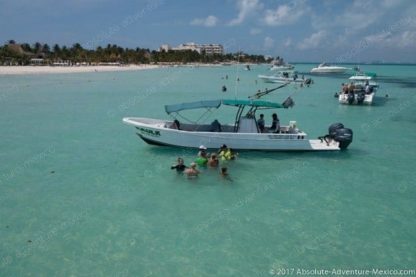 Then, we’ll direct the boat towards nearby Isla Mujeres, a beautiful island. There, you’ll be able to join the captain on the boat for a freshly prepared lunch complete with ceviche, guacamole, fruit, sandwiches, and drinks! 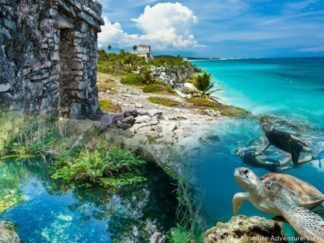 We can’t imagine a better way to spend an entire day enjoying the natural wonders of the Riviera Maya. Snorkeling: Advanced swimming skills required. Not for beginner snorkelers. Tour is not available for pregnant women or people with back problems, as the boat ride can be quite bumpy. If we don’t have a total of 8 people confirmed one week before your tour, we will cancel the tour and give you the option of an alternative tour date (if possible) or a full refund. Absolute Adventure is committed to follow the Whale Sharks regulation from the Environment Agency of Mexico (SEMARNAT Acronym in Spanish), which is designed for a better protection of the species and for a healthy environment for the people involved in the activity. 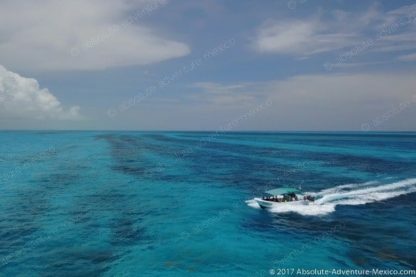 If less than 5 whale sharks are in the area, it is forbidden to swim with the whale sharks, but you could still see/watch them from the boat. 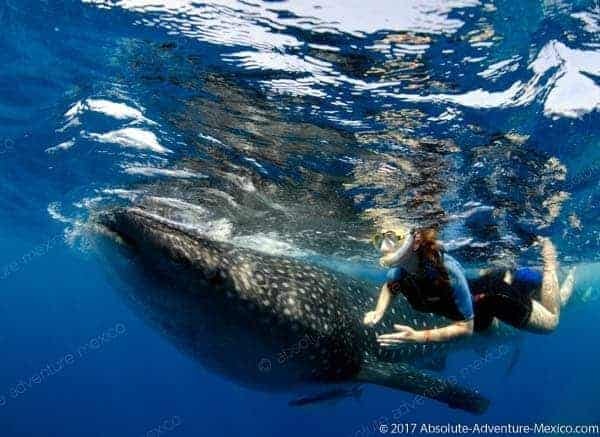 With more than 5 whale sharks, people can go to snorkel by pair with a certified guide. Just 2 people per guide are allowed in the water at the same time. It’s strictly banned to touch or chase any whale sharks. Distance allowed is 15 feet from the whale sharks. Photos are permitted but flash is not allowed. Only biodegradable sunblock is approved. The use of a life jacket or wetsuit, snorkel, mask and fins is mandatory. Alcohol is not permitted on the boats. 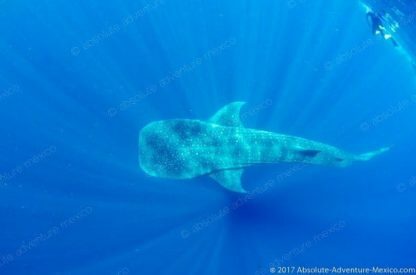 Here are more details about the whale sharks regulation. 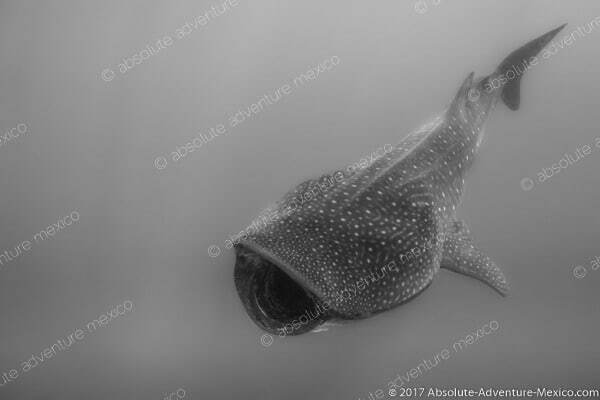 Want to know more about Whale Sharks? 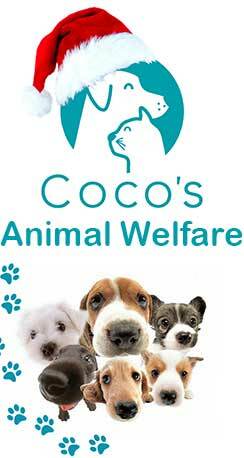 Check out our blog article! Our tours are scheduled at the best hours to get the most of the Whale Sharks. Pick up time from your hotel will be send to you few days before your tour. Camera/Underwater camera. NB: Flash is not allowed. It was amazing to be able to swim with these creatures. The whale sharks themselves were incredible. Hard to even explain how impressive they are. I would swim these on every trip here if I can. Totally worth it! It’s one of those trip for the bucket list! Great new experience! I can’t wait to go back and do this again! Friendly people too. Claire was very helpful, answering all my questions before the tour. The tour was great, top notch organization. Guides were knowledgeable, friendly and made sure we were safe during the experience. We had a big group of 9. Our guide Juan was so considerate and accommodating for our group especially for our children ranging from 8 to 13 years old. Lunch was delicious.Thank you. If you want an experienced and knowledgable guide to the whale sharks book with Absolute Adventure. The crew respects the Whale Sharks and made us feel safe in the water. They also made sure we all used the biodegradeable sunscreen. 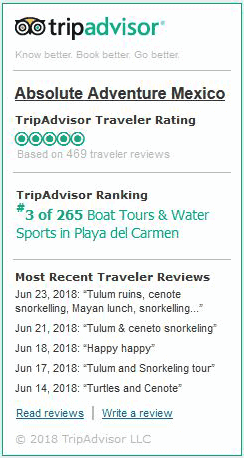 This was the best part of our trip to Playa del Carmen. Juan was our tour guide and was extremely knowledgeable about whale sharks and made the tour a blast. They provided everything you need for the trip including Snorkeling instructions I had not received before. Wonderful experience! My group saw tons of whale Sharks! Thank you Juan for guiding us. It was amazing! We encountered many whale sharks we had the opportunity to swim for as much time as we wanted. Absolute Adventure was well organized and took us to less crowed places when necessary. Our boat captain also prepared us ceviche and guacamole! We are a family of seven and this was the highlight of our trip. 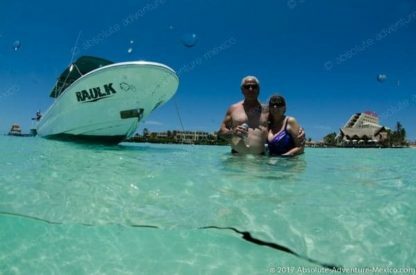 We stayed five days in Cancun! Claire was right in top of working with us! Our guide Juan was amazing!! He was full of information, welcomed us with a smile, and we had so much fun with him! Amazing day with the Whale Sharks! This was a great trip. Our guide was very knowledgeable and pleasant. She was very attentive and made sure we all experienced everything. Both whale sharks tour and staff were excellent! We had a perfect day! 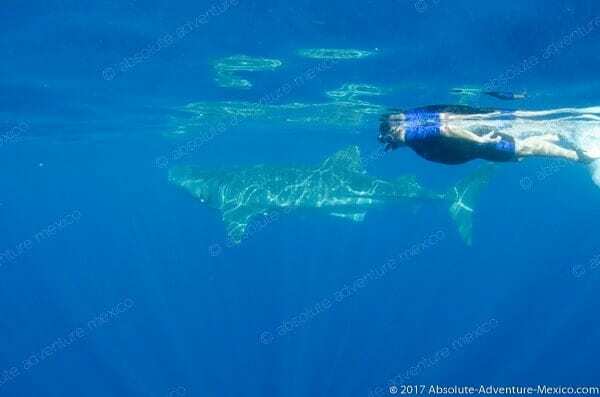 Hi Chris, thanks a lot for the SNORKELING – with Whale Sharks private tour from today! It was a pleasure for my family and me. 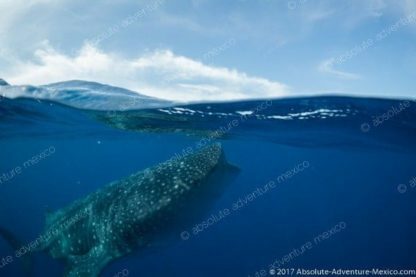 If you like a well organized tour to the whale sharks and be there before hundreds of people are around…. Book at Absolute adventure. We had a brilliant time on the whale sharks tour with the amazing guide, Chris Everything about this trip was perfect. The boat was very comfy and the captain was superb-finding us our very own whale sharks away from the other boats! 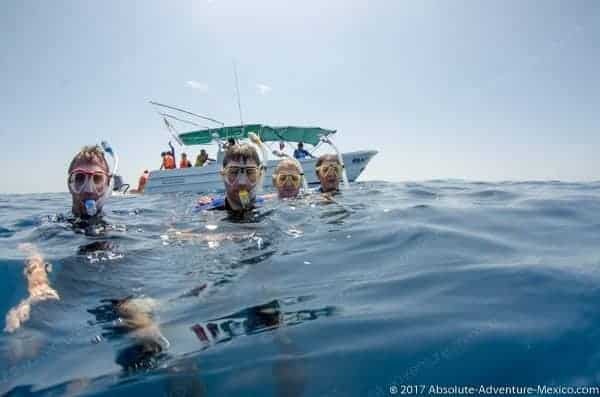 The equipment was excellent-the wet suits, snorkels, masks and flippers were all of very good quality, well organized and clean. There was a good selection of drinks and snacks on board. 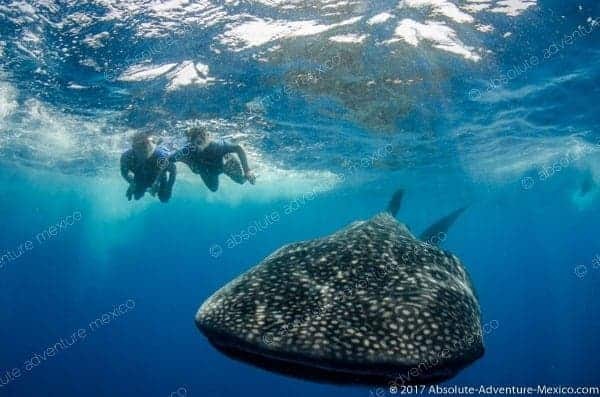 It’s an amazing feeling to swim with the whale sharks. 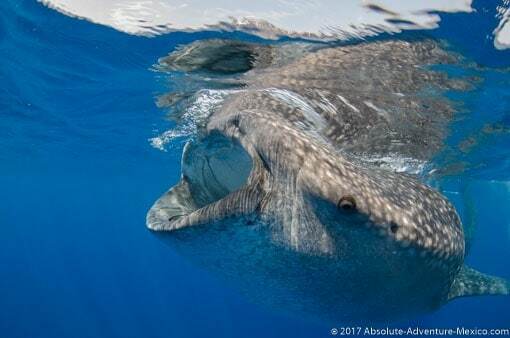 They’re such gentle giants and are cool and serene in the water. It’s a one of a kind experience worth doing. I spoke with Claire on the phone and online. She was so responsive and helpful. 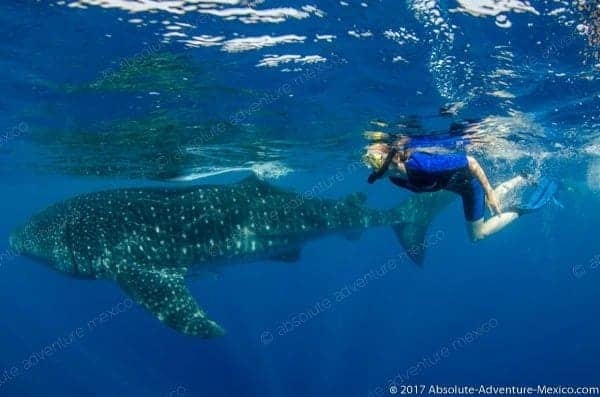 Whale Sharks tour with Absolute Adventure is a top notch tour with dedicated, knowledgeable and SAFE guides. Swimming with the whale sharks was just amazing. I can’t wait to do it again! It was the best day of my holidays! Very well organized and we had a lot of fun with the crew.